Today we’re taking you inside the homes of four talented celebrities, all with a unique eye for style and decor. The homes of Gwyneth Paltrow, Jeannie Mai, Lauren Conrad, and Solange Knowles really make a style statement! Actress Gwyneth Paltrow’s home features crisp, calming colors and classic style. I just love the upbeat feel of her space! This home’s design is all about casual elegance, perhaps with the exception of the formal living room, which features a stunning piano as its focal point. Gwyneth’s master bedroom (below) strikes a balance with its comfy bedding and shag carpet combined with richly hued, patterned wallpaper and high end furnishings. I was excited to learn that Gwyneth Paltrow recently redecorated her living room utilizing an e-design service! Even celebrities are realizing the added value of choosing internet based, e-design services. 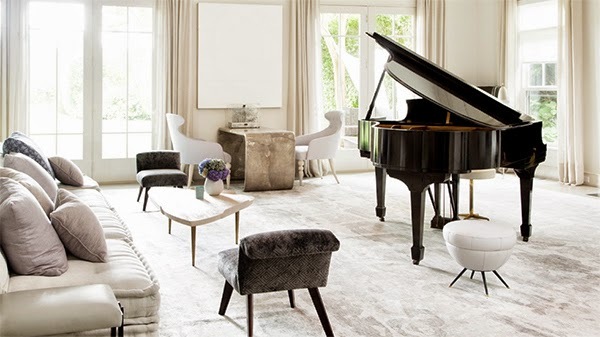 Designed by the incredibly talented Windsor Smith (Room In A Box), Gwyneth Paltrow’s newly designed living room doesn’t miss a beat after its stunning e-design installation. This living room is sophisticated, elegant, and polished. Our next celebrity is Jeannie Mai, the chic fashion stylist of Style Network’s How do I Look and upbeat host of Fox’s The Real talk show. Jeannie’s home is so unique! With the help of designer Jinnie Choi, Jeannie has combined her husband Freddy Harteis’ outdoorsman perspective, with her signature luxe style quite nicely. 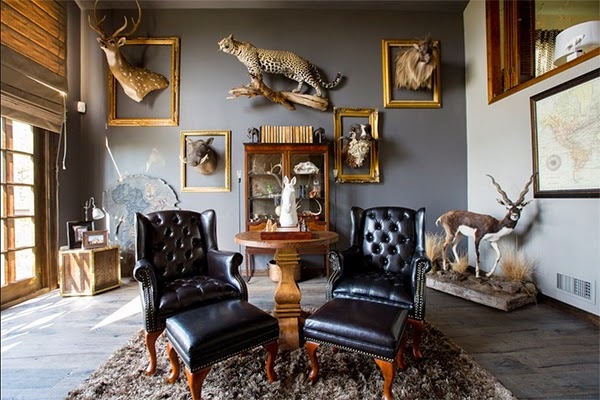 Get ready for the most stylishly arranged taxidermy you’ve ever seen! Above, we get to see a glimpse of Jeannie and her husband, Freddy Harteis of TV show The Hollywood Hunter. 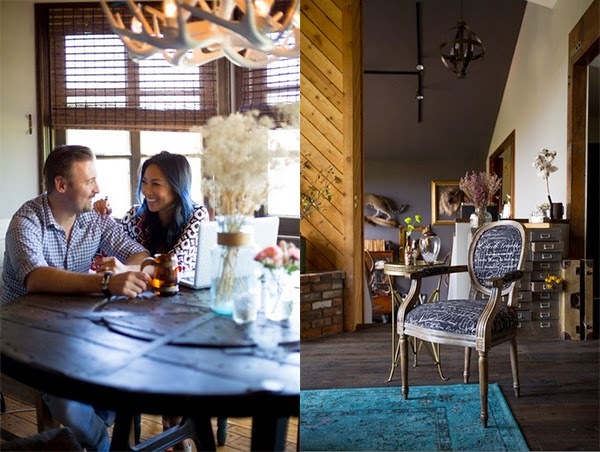 Their home leads with vintage flair and rustic style with a hint of feminine luxury! Such a creatively put together home. I’m sure Jeannie and Freddy are quite comfortable here. Let’s just say this is a statement wall! 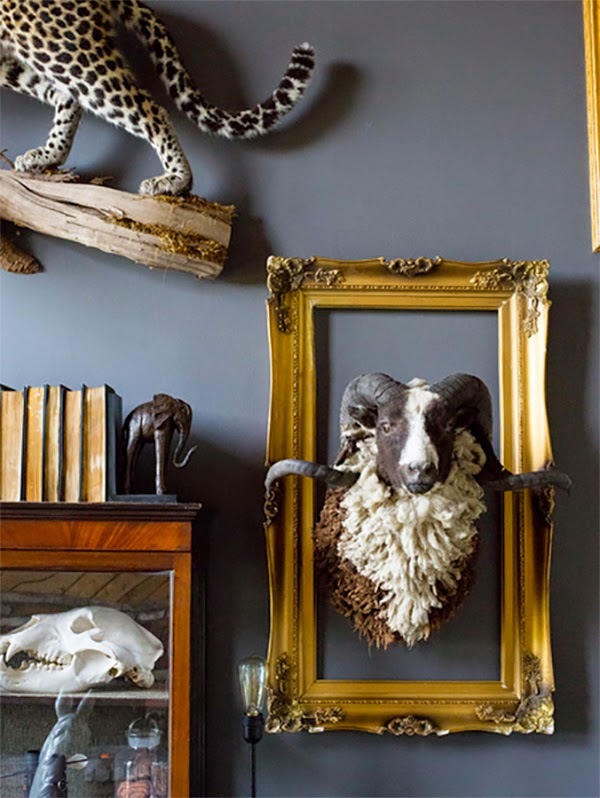 (above) Whether taxidermy is your thing or not, I think we can agree that the styling is on point. Lots of visual appeal here. You may know our next celebrity, Lauren Conrad, from the reality show The Hills, her fashion line Paper Crown, or any of her numerous and highly successful business ventures. I just love her chic neutral home filled with pops of color. Lauren’s bright orange, tufted sofa is just stunning! 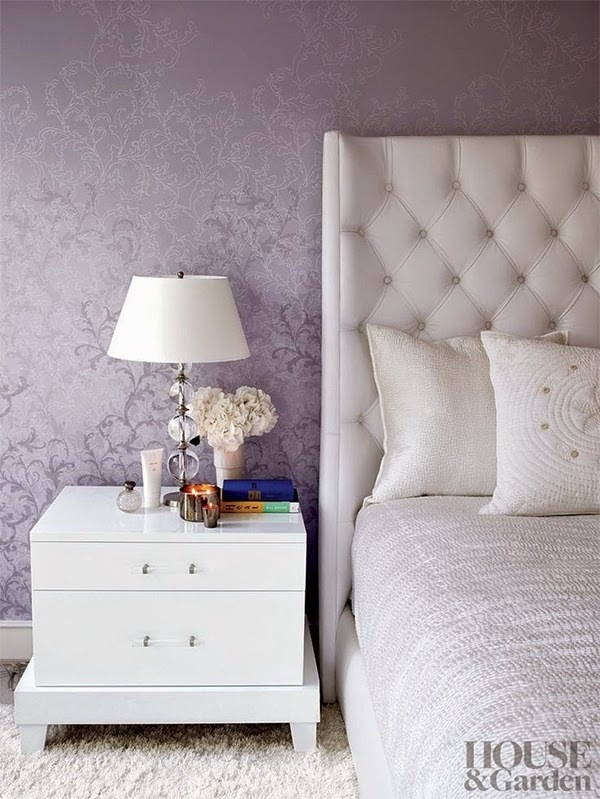 I know we all love a fab closet and Lauren Conrad’s closet – I mean dressing room – is just as fabulous as expected. Each room in Lauren’s home features an unexpected pop! I’d say the bold brick wall is the unexpected element in this luxe living room (above) and the graphic zebra hide is the star of Lauren’s charming closet (below). 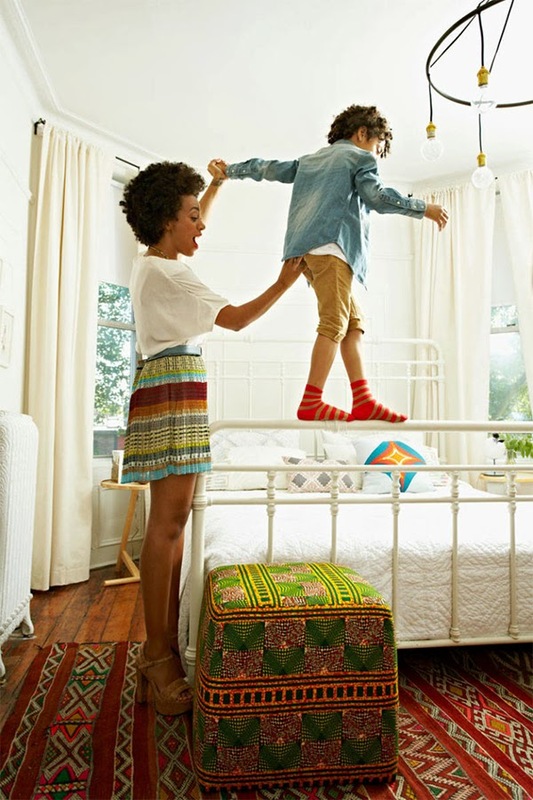 Last up is the beautifully eclectic Brooklyn home of singer Solange Knowles. She happens to also be famous for her funky yet highly curated eye for style, which I happen to think is pretty awesome! Take a look at Solange’s hipster-chic home. I need these dishes! 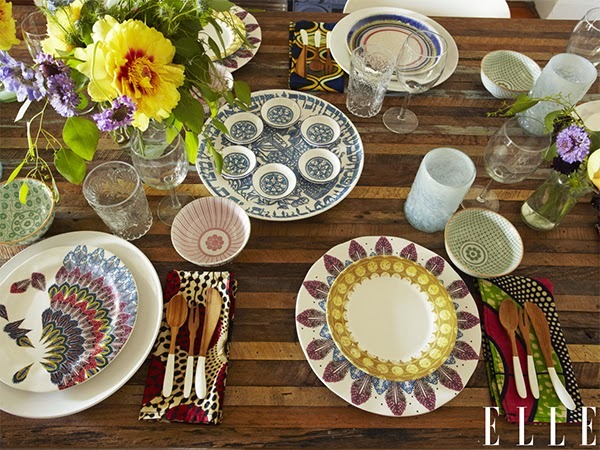 Solange’s dining room features a global/tribal flair that I find very attractive. I really enjoy the depth created when mixing and matching dining sets. There are just so many layers here to engage you. Combining dining sets allows you to be more creative, and individual creativity is what makes your home unique and memorable. Definitely something to try as you add variation to your plate collection or plan for your next dinner party. Solange’s artful living room is simple, yet still packed with visual interest. Using the wainscoting to frame her gallery wall is such a nice touch. 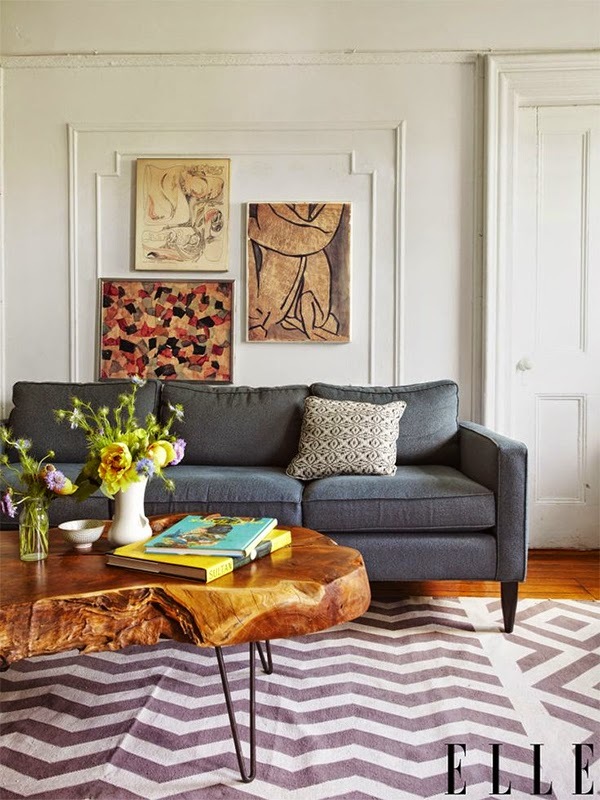 My absolute favorite element of Solange’s living room, however, has to be the reclaimed wood coffee table (above)! 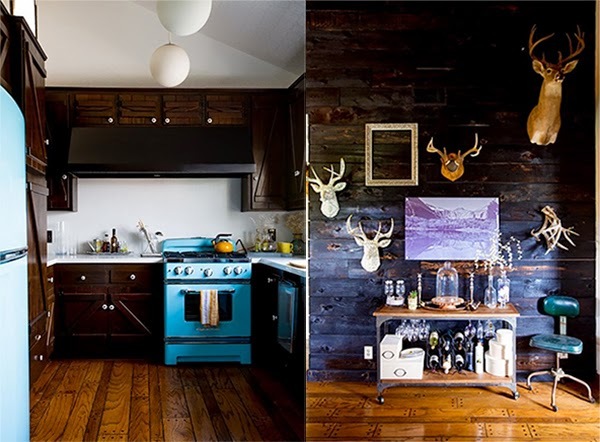 If you’ve been following my blog, you know that decorating with reclaimed wood is one of my (many) favorite things. Solange Knowles is definitely a tastemaker. I’m looking forward to seeing more of her eclectic style this year! 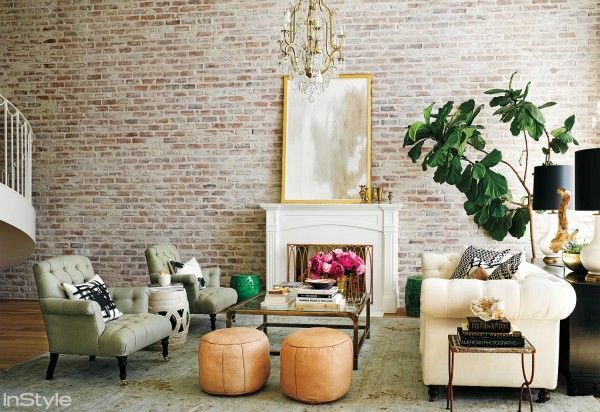 Which of these celebrity style icon’s home is your favorite? Did you get any new ideas for your home after seeing how these fab ladies decorated their homes? 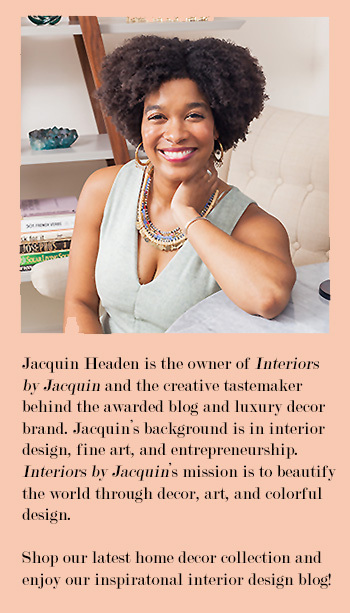 If you’re feeling inspired to give your home a new look consider Interiors by Jacquin’s e-design service! P.S. The contest to win custom interior design services for 1 room in your home ends this Saturday, February 21st at 11:59pm PST. Enter the contest here.